As dean of the School of Medicine and Public Health at the University of Wisconsin–Madison, I was both troubled and puzzled by an opinion piece posted March 21 on Slate titled “The End of Research in Wisconsin.” The column by Rebecca Schuman suggests that budget challenges and changes in tenure policy in Wisconsin will cause “the demise of the integrity of research produced” at UW–Madison. From where I sit, nothing could be further from the truth. UW -Madison continues to be a top-rated public research university, the only public university to rank in the top five annually in total research funding for more than two decades. For two consecutive years, UW–Madison has been ranked among the top 25 public universities in the world in Shanghai Jiao Tong University’s Academic Ranking of World Universities. And the upward trajectory of our institution’s research portfolio has never been stronger. Ms. Schuman’s piece notes that UW–Madison has spent roughly $9 million, the bulk of that in research funds (not salaries), to retain faculty who have received outside offers, as if this is an indication of a pending mass exodus. But it isn’t unusual for UW–Madison or any top tier university to invest in the retention and continued productivity of its best individuals. Like any other enterprise, our university finds that its best and brightest individuals are in high demand. The fact that our campus has been able to retain about 85 percent of those who have received outside offers speaks for itself. In addition, the pool of applicants seeking to join our faculty is large and impressive. Just this morning the chair of our Department of Neurological Surgery shared with me the exciting news that we have successfully recruited one of the brightest young superstars in that highly competitive field. Next week I will be meeting with our incoming new chair of the Department of Neurology, who is leaving a major academic medical center in Chicago to join us in July. We have several ongoing searches for tenure track positions in our basic and clinical departments that have attracted hundreds of highly qualified candidates from leading institutions across the country. The flood of applications for available positions is as strong and large as it has ever been during the 10 years that I have been here. There is a very important national conversation occurring about the appropriate level of public investment in higher education and the role of tenure in modern American universities. A handful of states with longstanding traditions of excellence in their public universities, including Wisconsin, have been in the forefront of that conversation. I am convinced that when the dust settles, UW–Madison will continue to be what it has always been for more than 150 years: a place that attracts some of the world’s most innovative and talented researchers and the outstanding students who will follow in their footsteps. 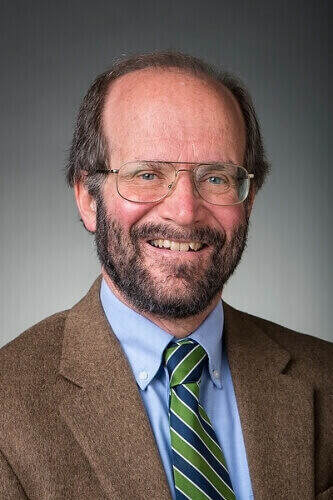 Robert N. Golden, MD, is the Robert Turell Professor in Medical Leadership and Vice Chancellor for Medical Affairs and Dean of the School of Medicine and Public Health at the University of Wisconsin–Madison.